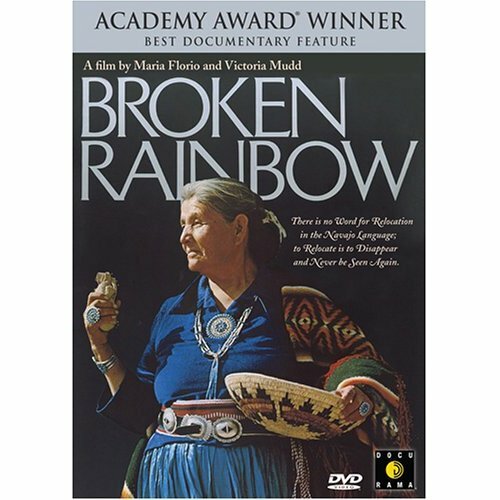 April 22 — “Broken Rainbow,” the heartbreaking tale of the forced relocation of 12,000 Navajos from their ancestral homeland in Arizona will be shown at the National Center for the Preservation of Democracy at 7 p.m. Narrated by Martin Sheen, “Broken Rainbow” bears witness to the machinations of energy companies and their government proxies as they eagerly cast aside the peaceful Navajo to make way for oil, gas, uranium and coal exploration. In their own words, elders and outside experts discuss the rich culture and the history of the Navajo as well as their close friends and neighbors the Hopi. The film follows these Native Americans as they take their protest to Congress and join with the American Indian Movement. 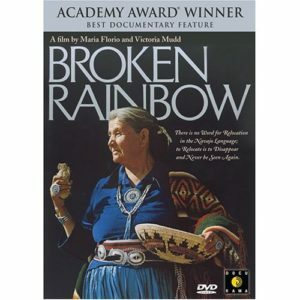 The 1985 film won the Academy Award for best documentary film. Bringing the Circle Together: A Native American Film Series is a FREE monthly film series located in downtown Los Angeles at the National Center for Preservation of Democracy. Directly across from our host sponsor, the Japanese American National Museum. The film series was established to provide quality documentaries by and about Indigenous cultures of the Americas, and bring together a central gathering place where discussion and awareness of issues can be shared with the Native community and its supporters. The film series is held at the National Center for Preservation of Democracy located at 111 North Central Avenue, between 1st Street and Central Avenue, in downtown Los Angeles. The NCPD can be reached via train, bus, or parking in the area. Screenings will begin at 7pm, and it is advisable to arrive at least 15-20 minutes prior for seating. Each film will include a raffle at the end of the screening. Doors open at 6:30pm.